Covers common lab situations and equipment. Provides editorially independent research news and information on science, engineering, mathematics, and related fields for general audiences through television, print and the Web. 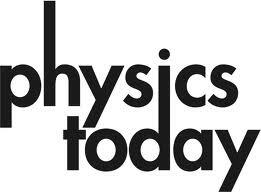 Covers the latest news from both the Institute of Physics and the national and international physics community. Provides accessible science, health, and technology news for a general academic audience. Tells about science and its place in the world. Valuable service sponsored by the National Science Foundation featuring video clips, interviews, and solid news reporting. Contains links to stories on health, ecology, energy, wildlife, computers and other topics related to physics. Contains 20 current popular web posts for science and other topics - includes games.